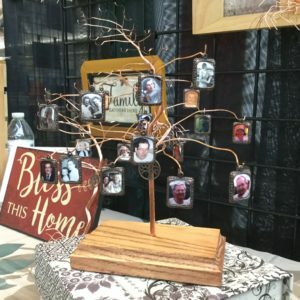 Tapestrees have tiny family photos. 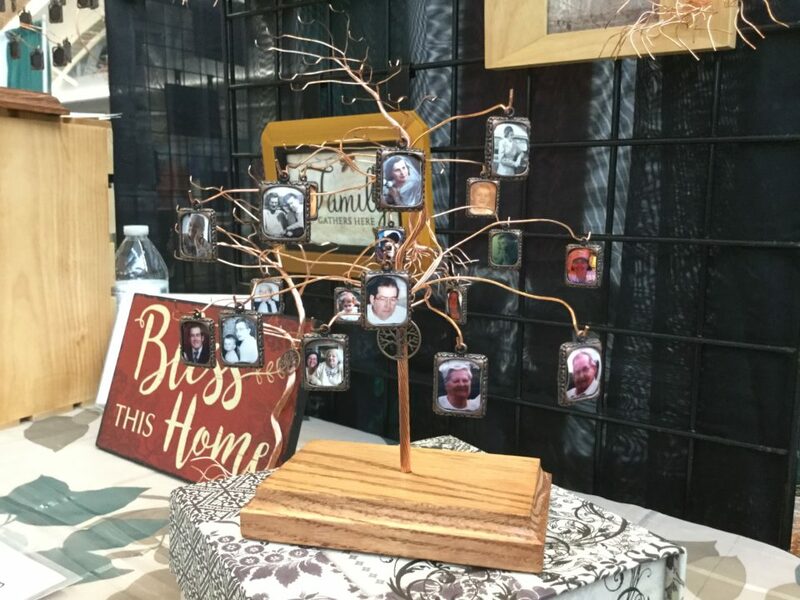 Ms. Griffin displayed these copper trees with photo frames at the Federation of Genealogical Society’s conference last fall. 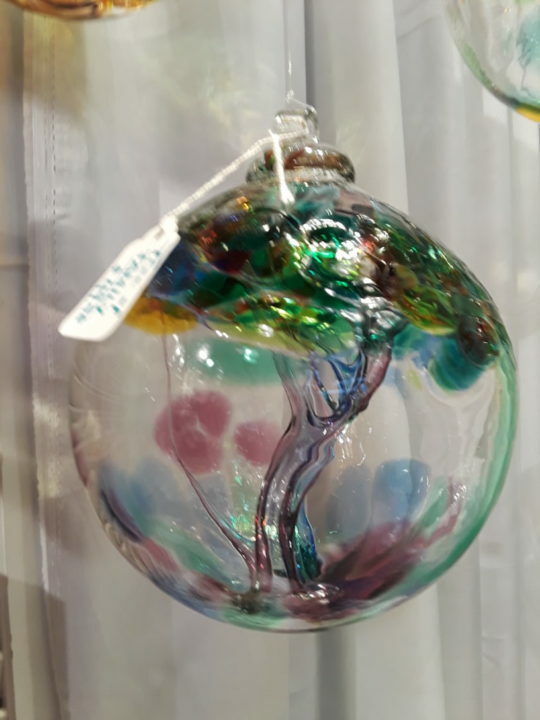 Glass art, like The Tree of Family glass ornament on display at the Nature’s Art shop at the Factory in Franklin, Tennessee, tuns me on! 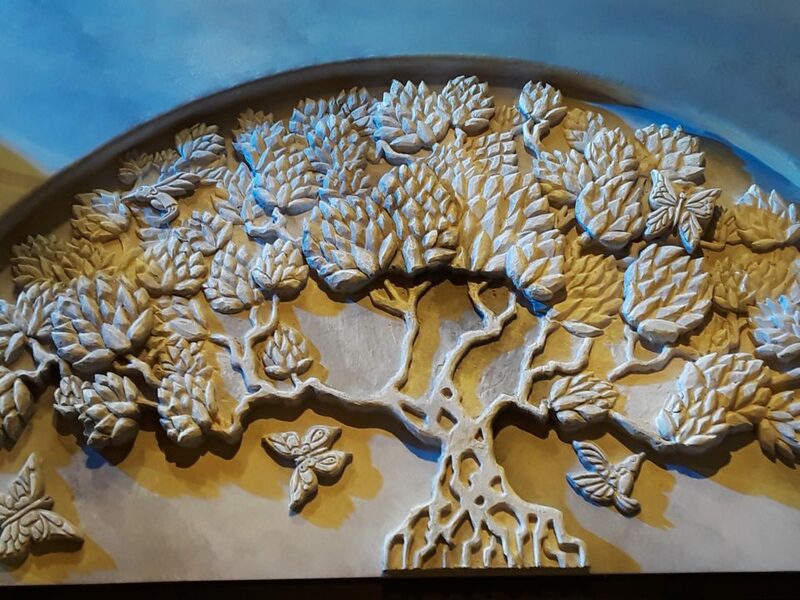 The maker, Kitras Art Glass, says “Like the roots of a tree, family nourishes and encourages us to grow to limitless possibilities. 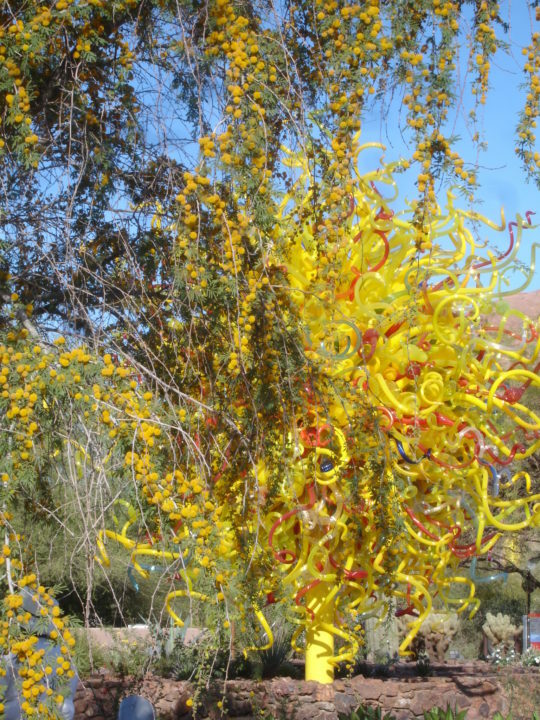 The Tree of Family reminds us that no matter how far we branch out as individuals, our family is always there for support, for encouragement, and above all for love.” Reviewing photos of Chihuly glass art also reminds me of family love. 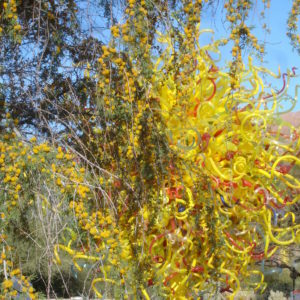 I first saw t these amazing pieces with my mom in the Desert Botanical Garden, Phoenix, Arizona. 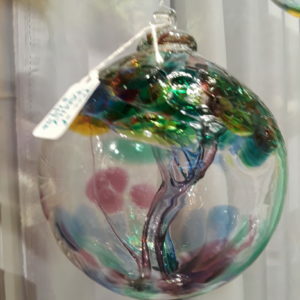 The Family Tree glass ornament. 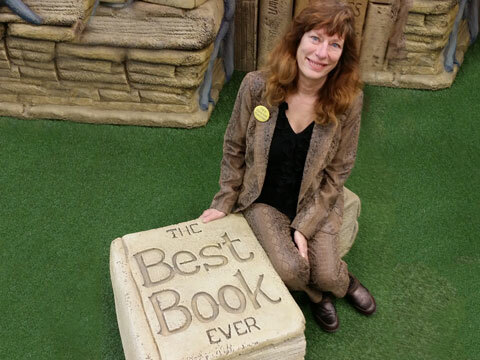 Graphic artist and personal historian Patricia West calls her business Tree of Life Memoirs. She says, “It actually came to me in a flash and instantly felt like a perfect fit. 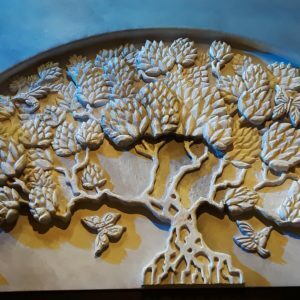 I am a literal tree hugger, for one thing, and love Nature and it’s cycle of life, death, and birth/rebirth.” Pat created her own company logo using a free background. 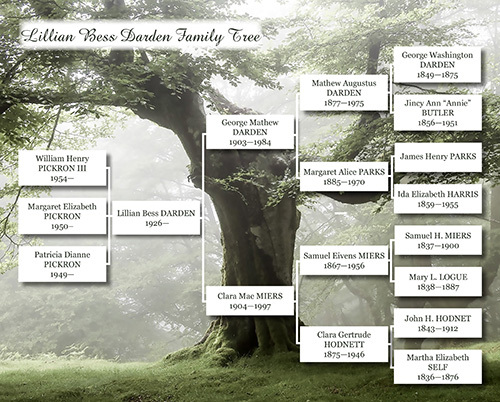 She also created the five-generation Lillian Bess Darden Family Tree for her mother and siblings. Pat is proficient in InDesign and PhotoShop, the go-to softwares for professional design and publishing. After years as friends and colleagues, Pat and I are collaborating on a special memoir for a long-time resident of Davidson and Wilson County, mysteriously called ECARG. 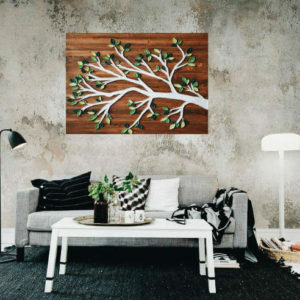 For many people the roots of the family tree are the earliest ancestors, who “rooted” the family. Roots can be places and memories of stories in places where relatives were born, married, died and were buried. I’m rooted to Nashville, Tennessee, where I’ve lived since 2003, through memories. I pass the Mercy Lounge—that’s where I met my husband, hearing Buddy and Julie Miller sing. Each day I pass McMurray Middle School where I taught. The paths of the zoo and nearby parks feel like my homeplace. Transients like me can identify with creating roots through association with memories. Where and who are your roots? A tree cannot stand without roots.